Florida 71, VIRGINIA 45 – Casey Prather scored a career-high 14 points on a rare day Florida’s three-point shooters went cold, and still the Gators had no trouble beating the Cas Friday in the NCAA West Regional. Virginia played the game with a six man rotation and got just three points from their bench. Prather made 6 of 7 shots in a season-high 22 minutes, using a cool spin move to get to the basket for a baseline layup in the middle of the second half. But his best shot came late when he dunked off Erving Walker’s alley-oop pass. Bradley Beal also had 14 points and 11 rebounds and Patric Young had 13 points on 6-for-6 shooting with three dunks. No. 7 seed Florida (24-10) pierced Virginia’s vaunted defense—the Cavaliers were giving up just 53.7 points a game—to get to the boards for second-chance baskets. 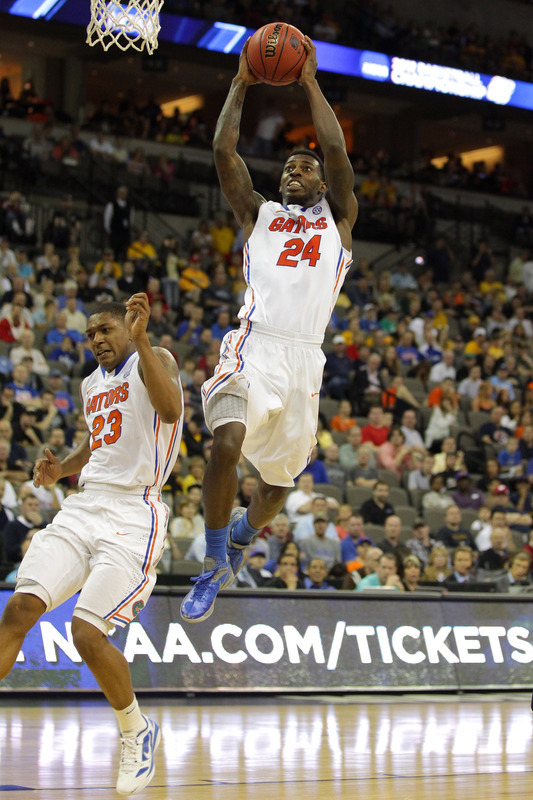 Their press also generated some easy buckets for the Gators, helping them go 24 of 30 from inside the arc. Mike Scott had 15 points for Virginia (22-10), which was in the tournament for the first time since 2007. The teams’ second all-time meeting, and first since the 1992 NIT semifinals, was billed as a clash between Virginia’s pack-line defense and Florida’s up-tempo offense.